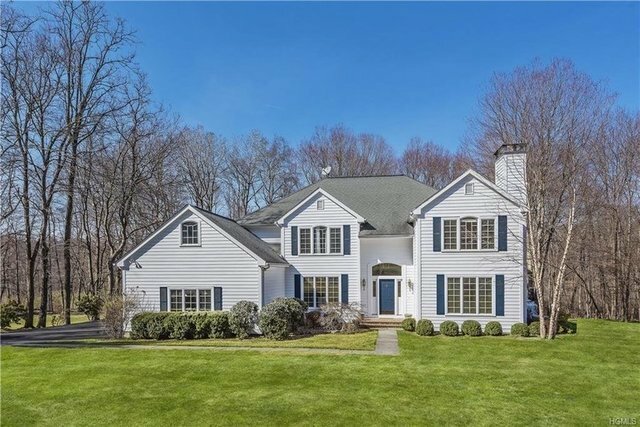 Your opportunity for a turn-key, five-bedroom center hall Colonial with open floor plan. This warm and inviting home is move-in ready. A light and bright home with formal and informal living spaces. The family room, with walls of windows and stone fireplace opens to the gourmet kitchen with island and breakfast room and both overlook the two-acre picturesque, private level yard. An office or guest room with a full bath is located on the first floor, as is the mudroom and laundry. The large master suite, on the upper level provides solitude with a luxurious master bath with large tub, steam shower and two large walk-in closets. An en-suite bedroom, two additional bedrooms and a hall bath complete the upper level. The large unfinished lower level gives you plenty of room for growth. This fabulous offering in the Byram Hills School District is now available for your consideration.